1999 best valued High-performance with high-end audio ATX mainboard you can still purchase and use it although it is already discontinued for a long time. Do you know that 32-bit desktop computers are almost matured after very busy one generation per year during the progress of the last decade in 20th Century? And do you know that Pentium 4 does not support dual CPU configuration and Pentium III with 440BX chipset is still the latest desktop dual processor solution for Pentium series computer. 1. 56K(bps) Modem is the limit of analog line modem Internet speed is limited by modem speed. If you feel slow speed of download files or multimedia contents of web pages, don't blame for the CPU speed. You should consider to upgrade your modem as DSL or cable modem. Now analog modem is already obsolete. DSL modem speed is still around 1Mbps just like 10 years ago. Cable modem is also around 1~2Mbps during peak hour in busy community, but the top speed may be improved up to 30Mbps. 2. Choose optimal (price/performance) speed of processor CPU performance is proportional to speed of processor if same structure and cache (for example 600MHz ATC version of Pentium III is much faster than 600MHz standard version of Pentium III since full speed L2 cache for ATC version even only half size [256KB] compared to standard version). All later processors and new Core series CPU benefits performance advantage from 256KB to 1MB L2 cache per core. 3. Dual-processors really boost performance under Windows 2000/NT Never thought dual-processors mainboard only used for server. Desktop computer can benefit significantly from dual-processor configuration under Windows 2000(based on NT technology) or Linux operating systems, the performance can be boosted up to double (heavily dependant upon how parallel degree of computer job). 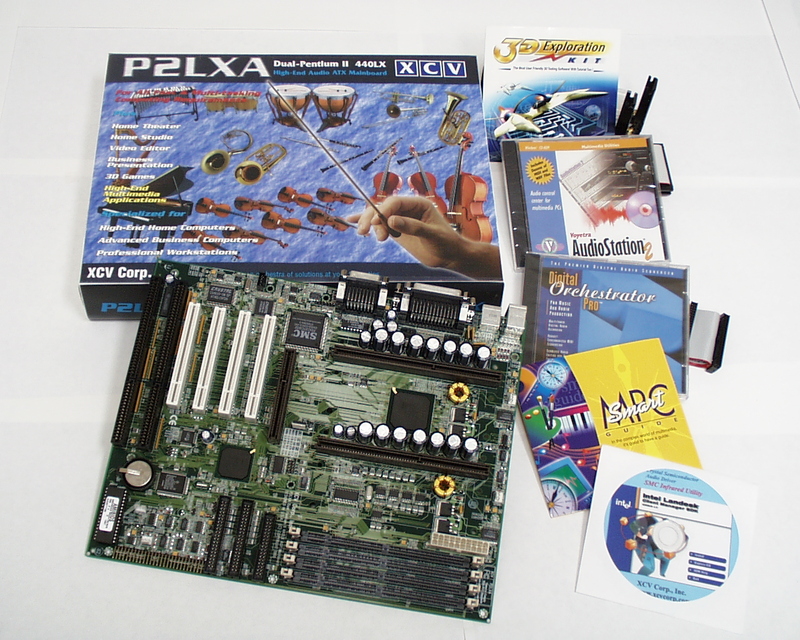 All Core series CPU just like 2, 4 or more CPU cores with L2 cache built in one CPU package and all later XP, Vista or System 7 Windows support multiple processor. 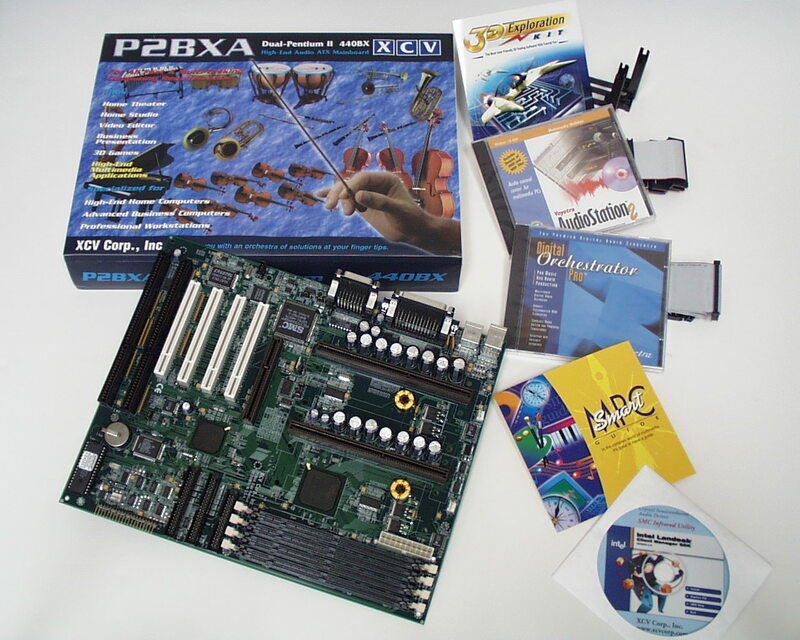 Actually our P2LXA/P2BXA is the first desktop computer considering multi-processor support in the world. 5. Select best IDE hard drive Recently IDE hard drives has a lot of progress from very high-density disk plate with fast and precise tracking/positioning system. It has similar performance of best SCSI 7200rpm hard drives with a small fraction price of SCSI hard drive and controller. Some hard drives of recent trend even use lower rpm(4400rpm vs. 7200rpm) to obtain higher reliability, lower power, lower cost and lower audible noise but no sacrifice performance. The trend is strongly continuing, now physical performance can be 100+MB/s which is almost 10 times compared with 10 years ago. You can benefit it significantly to upgrade old Pentium/II/III/4 computer now. 6. Use DVD instead of CD-ROM drive DVD drive, can watch high-quality MPEG-2 movies, is superset of CD-ROM drive and its price is already reasonable. One reason not using DVD is that there are high-speed CD-ROM drives up to 72X, you can enjoy "flying feeling" which is faster than current DVD drive(40X on CD-ROM mode). That is mature area except blue ray DVD. 7. Consider excellent audio function Most of software and internet contents (not only web pages now even promotional e-mails) already have abundant multimedia (include audio) contents, to exploit their function you should have excellent audio function (such as hardware wavetable synthesis, hardware DirectSound and DirectSound3D accelerator, of course excellent codec, mixer and amplifiers are mandatory) built-in. Although there is high definition audio in digital side there is no audible difference (don't confuse with high definition video which has dramatic visual impression). The bottlenecks are still analog and acoustic portions that matured long time ago by well-engineering design/reasonable price. Copyright � [XCV Corp., Inc.] All rights reserved. Trade names belong to corresponding companies. This web location has been browsed times since May 10, 1998.